One of the greatest challenges for small and middle-market businesses is managing cash flow that is dependent upon ever-changing customer payment cycles. AR Financing options (Accounts Receivable Financing) from Meridian PO Finance is the ideal solution to break the dependence on timely customer payments and turn outstanding receivables into immediate cash flow for those B2B transactions. You can learn more about “The Debilitating Effects A Business Experiences When Invoices Get Paid Late” in our blog. Don’t let those debilitating affects ruin your business, there are other options. Receivables financing allows business owners and executives to stay focused on current business opportunities and growth! Why Meridian PO Finance for AR Financing? Download our AR Finance Application & View our AR Finance video to learn more. How Do Account Receivable Financing Companies Evaluate Invoices? Age: A current invoice is worth more (discounted less) than an invoice that is overdue. 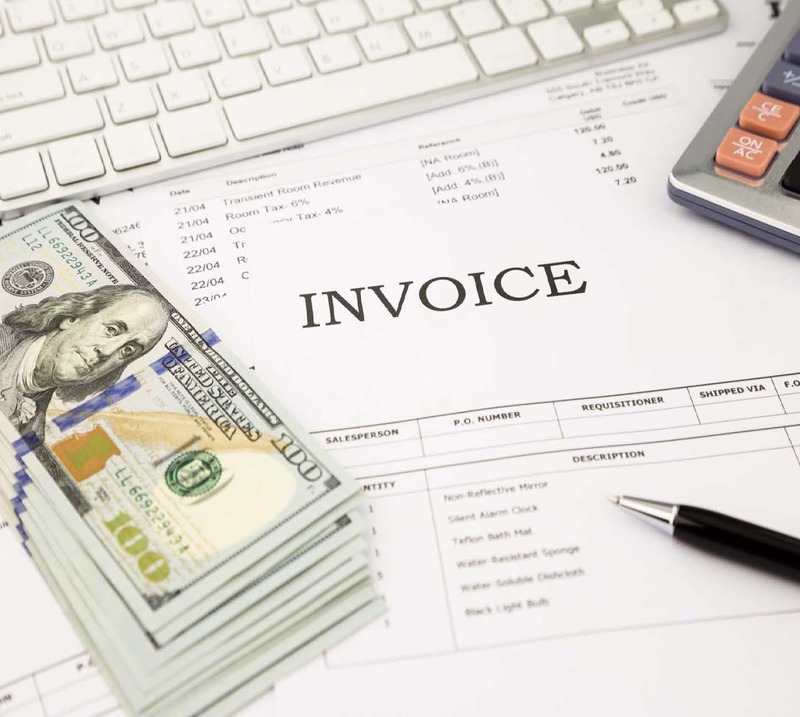 Invoices that are more than 90 days old are not ordinarily marketable, except for certain government contracts that account receivable finance companies are confident of collecting. Quality: How likely are your customers to pay their invoice, and to pay it on time? If you have a large corporate customer with sterling credit like one of the big-box retailers, account receivable financing companies will be more confident of collecting your invoice, and may advance you a higher percentage than they would pay for invoices owed by small businesses or individual consumers. History: Having established a working relationship with your customers gives more confidence in the factor to purchase your invoices. Showing that you have completed an opportunity with that customer in the past, or have done a multitude of business with your customer is always a positive thing. Though not required to receive AR financing. Select an account receivable financing company that you feel comfortable with. Find a company that is responsive, that answers and returns phone calls promptly, and that is either in your own time zone or in an earlier time zone so they won’t be closing during your afternoon work hours. It’s best if your application forms are accessible online at the AR financing company’s website, so you can fill them out in the evening or early morning if necessary. Then follow up by phone during working hours. Have your invoices and any documentation of the customer’s payment history ready to go. Ask for a contract that will allow you to bring future invoices to the account receivable financing company without re-inventing the wheel each time. Most will be happy to archive your basic documents and assign a staff member to expedite future transactions. What if We Need Cash Before We Provide Any Product or Service? In some cases, you may find that you need cash before any service is rendered, and there is no invoice yet. Perhaps your sales staff brings you a large order that you can’t afford to fulfill out of your current cash reserves. In this situation, AR financing is not a solution. You need purchase order finance, instead. This is prospective finance, issued prior to any manufacture, service or goods. It’s a nuisance to start from scratch and explain your business all over again when you need a similar transaction. The solution is to affiliate with an account receivable finance company that also does purchase order financing, so you can move smoothly from one type to the other. Meridian PO Finance is one such switch-hitting company that processes both purchase order financing and account receivable financing. We’re a “one-stop shop” located in the Pacific time zone, where we answer the phones (866-988- 6868) til 5pm every weekday. We have online applications for both purchase order financing and AR financing posted on our website. Meridian’s staff has built expertise in tailoring solutions for companies that need a mix of purchase order financing and account receivable financing. They can help you assemble a contingency plan so that there will be very little wasted motion when the time comes to seek your next needed cash infusion.